Archies Arch Support Thongs were designed by a young physiotherapist from Melbourne as an alternative to regular flat thongs. Archies Thongs provide the same amount of support that you would find in a typical orthotic, whilst looking just like ‘normal’ thongs. Superior impact cushioning and motion control helps reduce pronation and supination – common problems associated with flat, slab-style thongs. Archies are the preferred choice by many of Australia’s elite athletes. 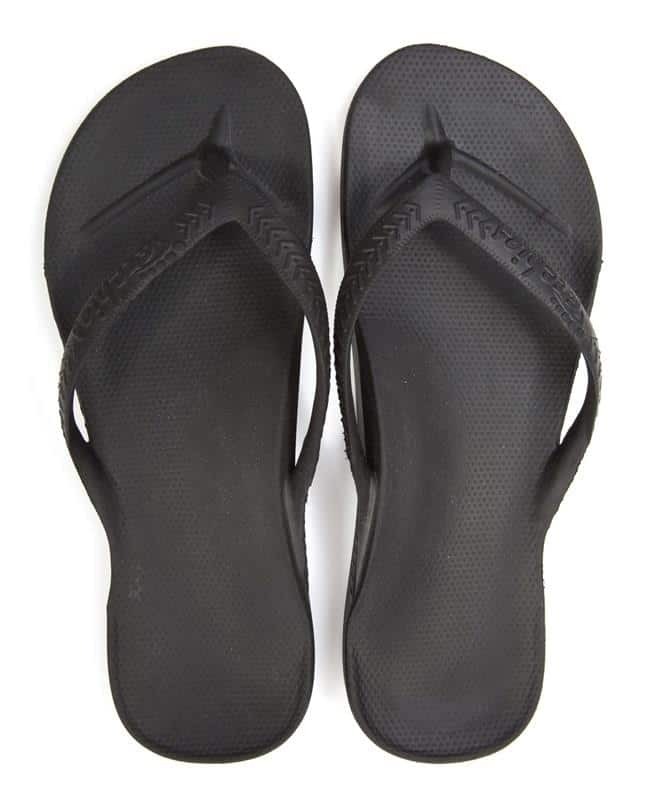 Regardless of whether or not you require support from your footwear Archies Thongs are amazingly comfortable. Once you start wearing them you will never want to take them off! Archies thongs are available in a range of sizes and colours for men and women and are available for purchase at any of Core Physio’s locations.